All Posts Tagged With: "London Fashion Week"
This season, Marios Schwab revisited the mysterious character of the Femme Fatale. Swarovski Elements were hand-embroidered across sumptuous necklines and cuffs, creating a Trompe-l’œil effect; while rich fabrics shone iridescently to accentuate the spiralling contours of the female body. Twenty8Twelve presented their Autumn/Winter 2012 collection in a moving image presentation on Sunday, February 19 in London at the Embankment Gallery Space in Somerset House. TM & Marta Walsh has the sneak peek. London Fashion Week SS 2011. Designer: Vivienne Westwood Red Label. 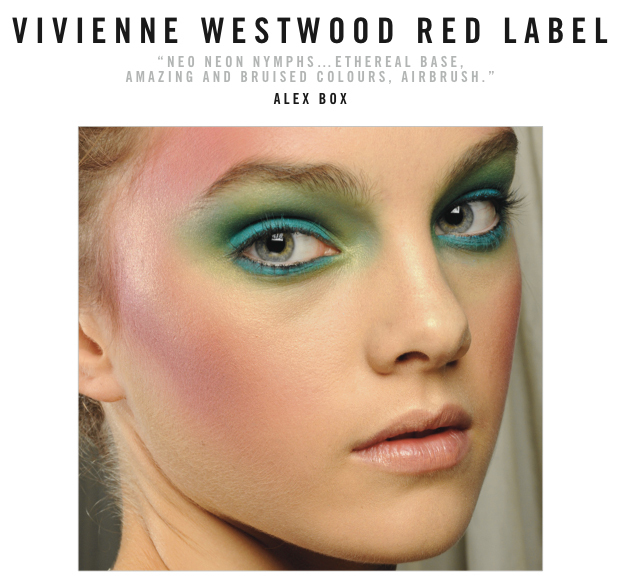 “This is a makeup that starts off with a totally pretty base…and then we go nuts with colour on it! 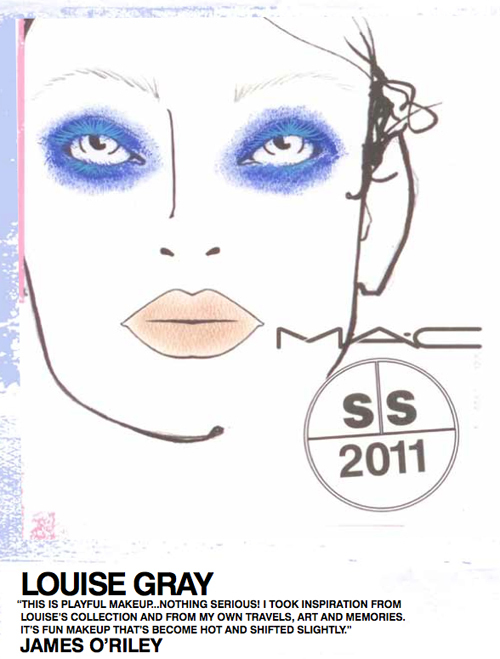 The final result is more like an impressionist painting.”-Gordon Espinet for MAC Cosmetics. London Fashion Week SS 2011. Designer: Louise Gray. 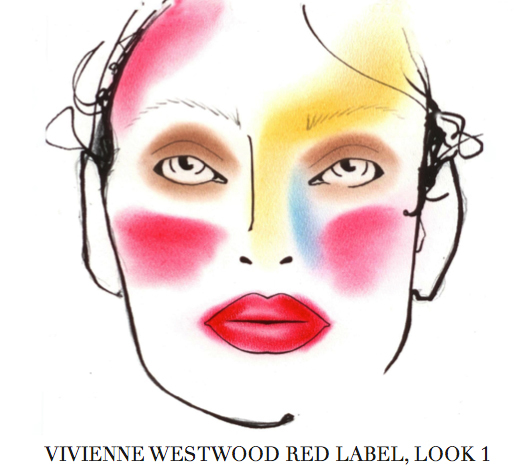 The Makeup Look: “This is playful makeup…nothing serious! I took inspiration from Louise’s collection and from my own travels, art and memories. It’s fun makeup that’s become hot and shifted slightly.”-James O’riley for MAC Cosmetics. London Fashion Week SS 2011. Designer: House of Holland. 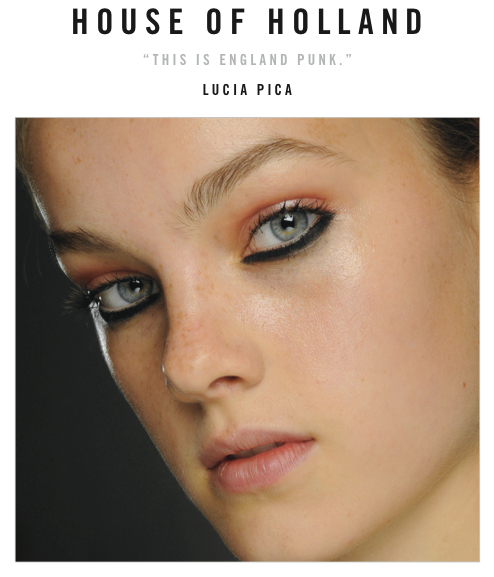 The Makeup Look: “The look was inspired by Brooke Shields in blue lagoon but pushed further with a strong concentration on the cheeks.” Lucia Pica for MAC Cosmetics. Clear lip conditioner – dabbed over the eyelids. Clear brow set – brushed up through the brows. Impeccable brow marker – sketched through the brows in an upward motion. 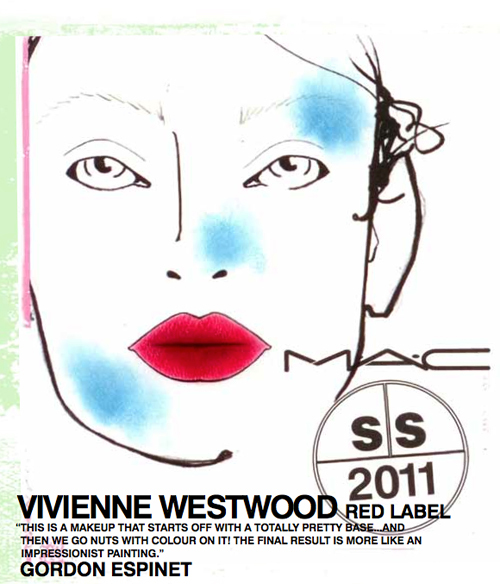 This Fall/Winter 2010 season marked the 15th Anniversary of MAC Cosmetics involvement in New York Fashion Week and their impact in London, Paris and Milan was bigger than ever before! 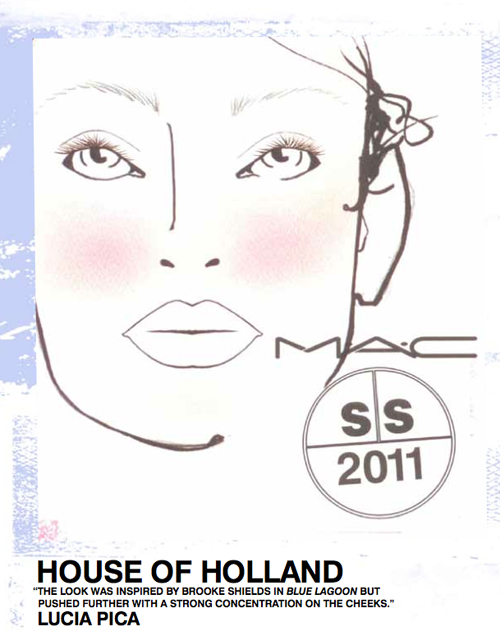 MAC Cosmetics supported nearly 200 shows during the Fall/Winter 2010 Collections. MAC continued as the official sponsor of London Fashion week, had a strong presence in Milan and Paris, and hosted shows, events and presentations at MAC & Milk and throughout New York. MAC Opulash Mascara: This new mascara with a supersized brush produced plush, extravagant lashes on the runway. Adding dramatic volume and curl, it formed lush lashes – bigger, badder, more opulent eyes. Opulash was key in such shows as DSquared2, Blumarine, Max Mara and Chado Ralph Rucci. MAC Prolongwear SPF 10 Foundation: Creamy and lightweight, this yet-to-be-introduced foundation was a hit! Providing ample playtime and easy blending, it also demonstrated 15-hours of wearability and garnered raves backstage at Chado Ralph Rucci, PORTS 1961 and Timo Weiland.